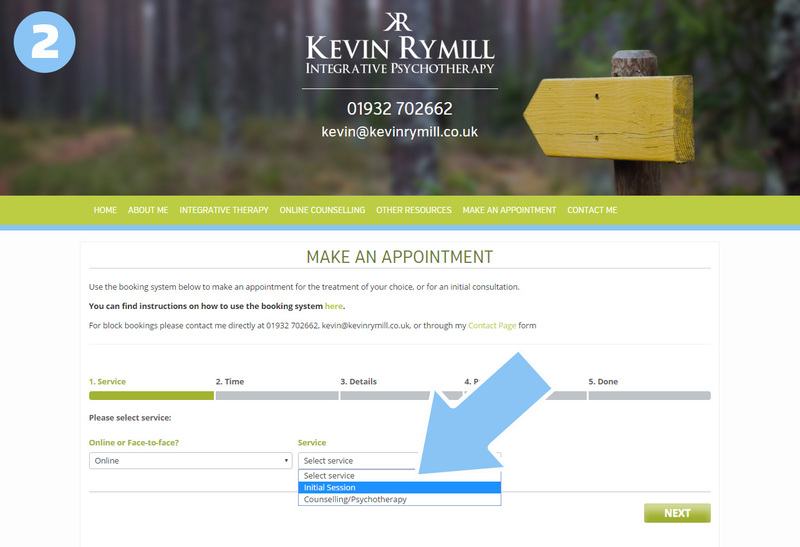 Booking your appointment online is easy and convenient, but if you have any questions about the steps involved, just follow the step-by-step guide below. 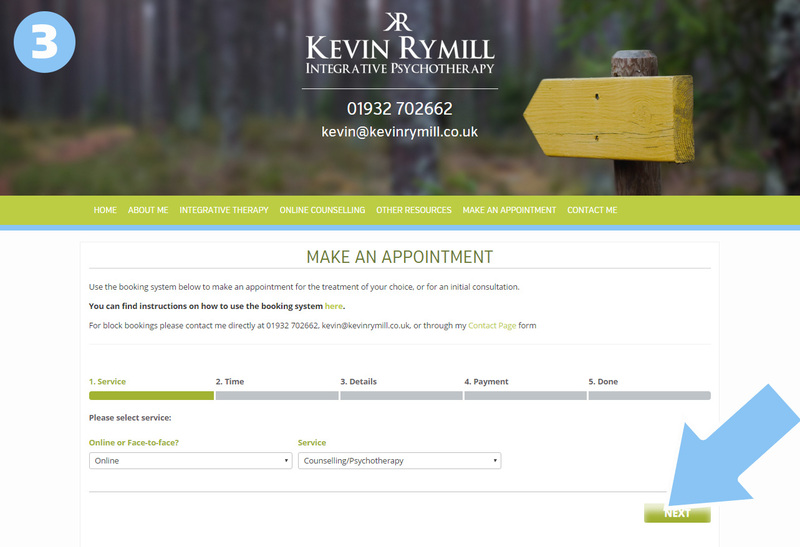 First, select which category of session you would like to book; online or face-to-face. Next, select the service you require. 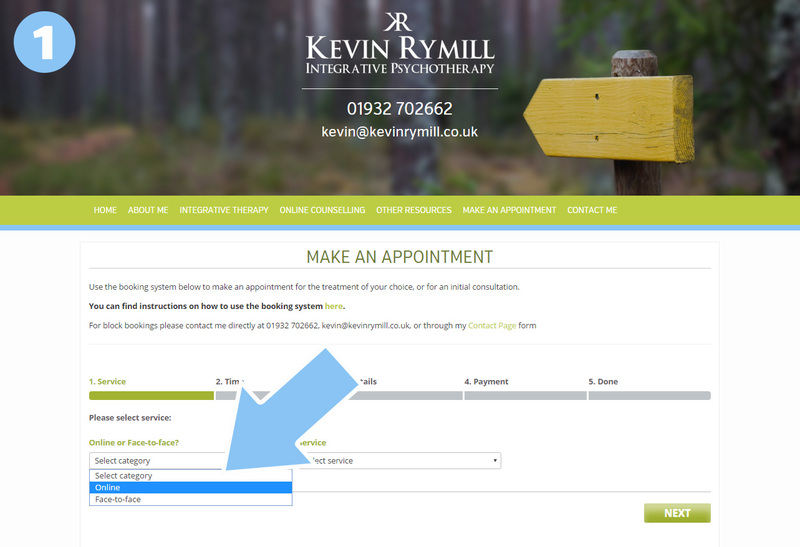 Please note, if the service doesn’t appear in the drop-down then it isn’t available for the category you have chosen. 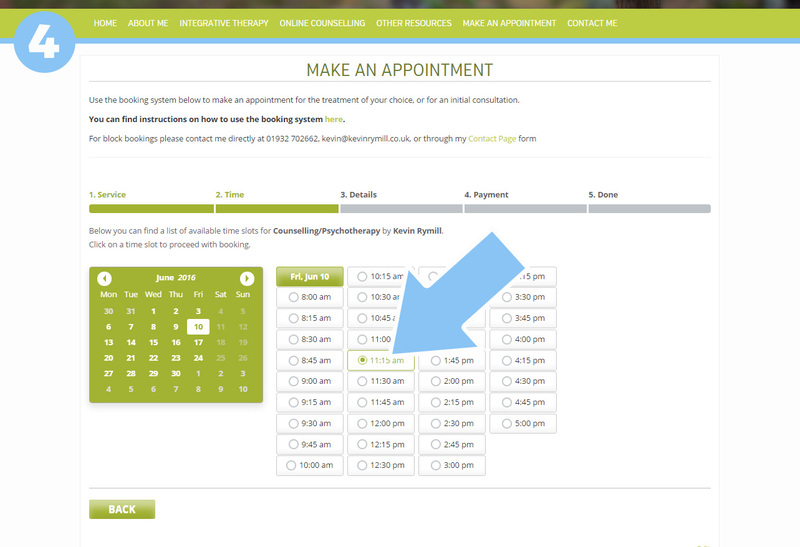 Select the date you wish to make an appointment on. 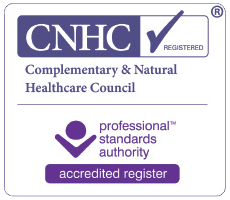 From the list of available sessions which displays, click on the time slot you wish to book. 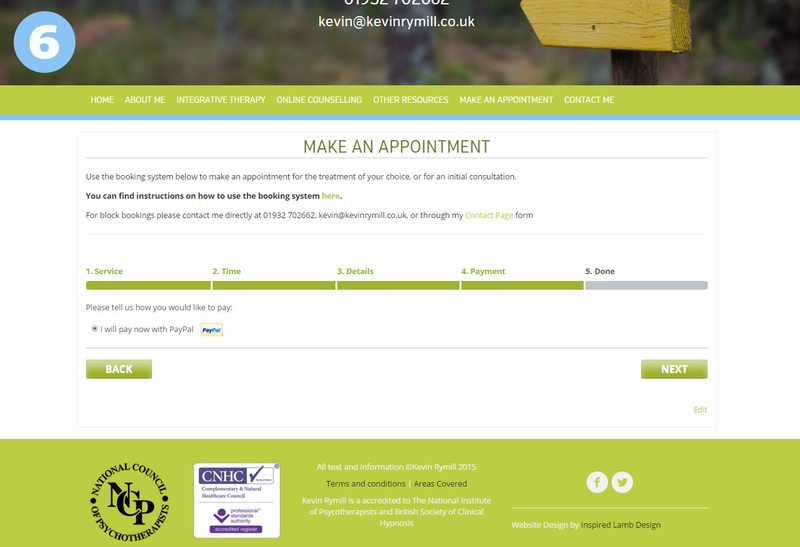 Fill in your contact details, and any notes you wish to pass on with the booking. 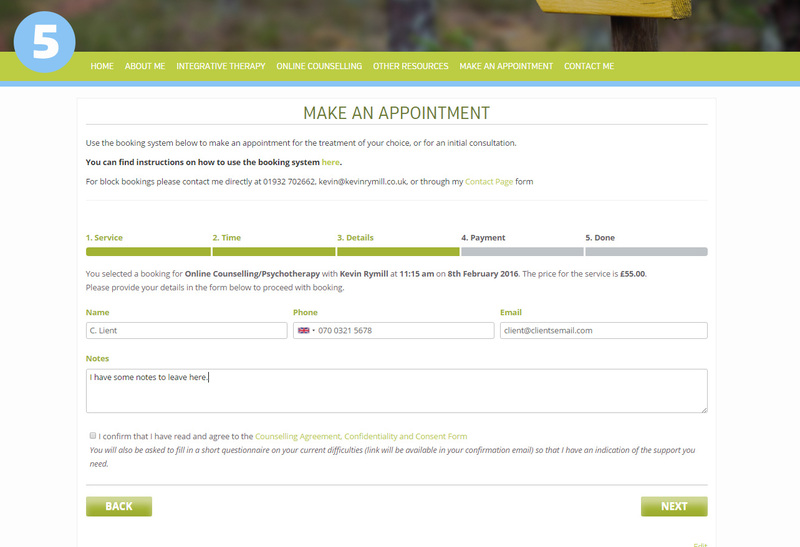 Read the Counselling Agreement, Confidentiality and Consent Form, from the link, and confirm you have read and agreed by checking the box. Then click Next. The next screen will take you to your payment options. At the moment I only offer payment through PayPal. Click Next to go to PayPal. After payment you will receive a confirmation email. Please check your spam folders if you do not receive this in your inbox.